Do you love network traffic? Even I don’t, and no one else does. Would you like to waste your limited resources? No one would like it. 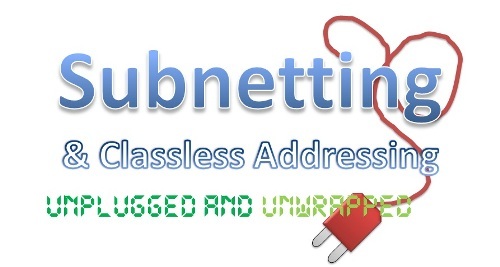 Today’s post is dealing with better networking with Subnetting and classless Addressing. Hi beloved readers. Subnetting is well known networking process used almost every middle and big organization to manage and design their network for best performance and error free. Subnetting is the process of dividing a big network into smaller network. This process include inter domain classification of the address on different subnet mask. Big network is having too many disadvantages. Subnetting is great solution of all those big and small issues. 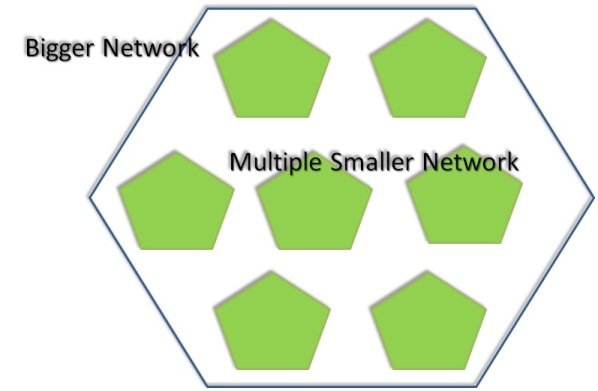 There are lots of disadvantage of big/large network, to overcome this Subnetting is done on these networks. Following are closest reasons of Subnetting. Suppose you are having an organization with 1000 Computer in it. You can’t survive with a single Class C address as you will have limit of 255 computers only. You opt of using Class B address which can have 65533 computers in it. So when you go inside it and opt a network, and establish 1000 computer in it, 65533-1000= 64533 address will be of no use. For the sake of wastage, your ISP no doubt provides you Class B address, but rather it creates logical smaller address range for your organization which may have 1000-1500 IP address. In this way, company utilizes all the IP address as well as delivers seamless data transmission. We all appreciate less traffic and congestion free network. In absence of trusty router most of the packet keep grinding the network and creates big traffic problems. With divided network and router, most of the packets will reside in local network until the destination is another network. So fewer packets will travel through router and router will be load free. Also router is responsible for creating broadcast domain, smaller the broadcast domain we’ll have, less network traffic and congestion we’ll encounter. Less traffic and less congestion result in greater and better network performance. Being in smaller units, it would be far more easy to isolate the networks and easily identify the exact position of error in big gigantic network. Since WAN is being wider, it is slower and more expansive than LANs. If one implement WAN in a single link, it would create problems as listed above. Considering smaller network will make the system more efficient. As mentioned above, this is methods adopted by ISPs used to allocate the amount of address to a company, home user or say medium or big area user. They provide address in certain block size after Subnetting the one network. One we receive such address, ISP provides us address like 172.168.10.15/16. What does it means, slash notation (/) tells us how many bits are turn on. It could be maximum 32 but we use largest subnet mask to /30 as rest we reserve for broadcast and host bit. Subnetting is clearly great tool by network designer which still preventing the whole bunch of organization to utilize each and every IP also not to forcefully move to IPv6 because of lack of IP. Along with this, network management and performance is drastically increased for every larger network.